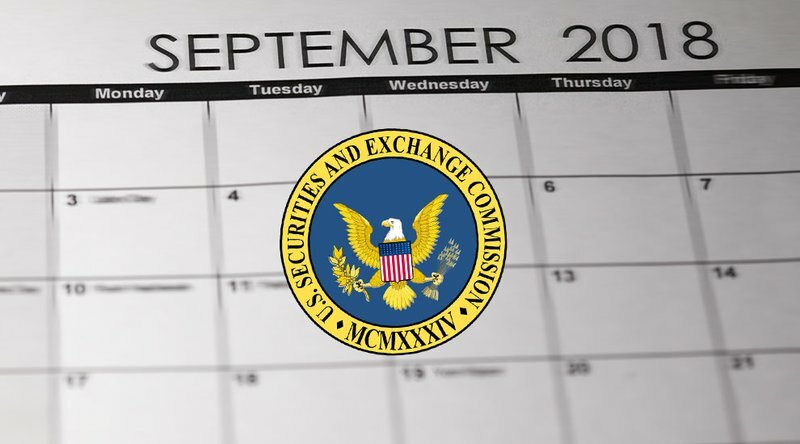 According to the provisions of the SEC's enabling Act, the commission is expected to give its decision within “180 days after the date of publication of notice of filing of the proposed rule change.” The publication date was on January 24, 2018, and the decision was due on July 23, 2018. The Act, however, makes room for an extension period of "not more than 60 days" for additional study before reaching a final decision on the proposal. In a recent letter issued by VanEck to the SEC, the company made a case for the fund’s approval, which has been shoring up support since comments were opened to the public. The letter went on to allay some concerns the SEC had about manipulation by stating that the bitcoin ETF would be regulated the same way bitcoin futures are, "under the well-established" Commodity Futures Trading Commission supervised framework. 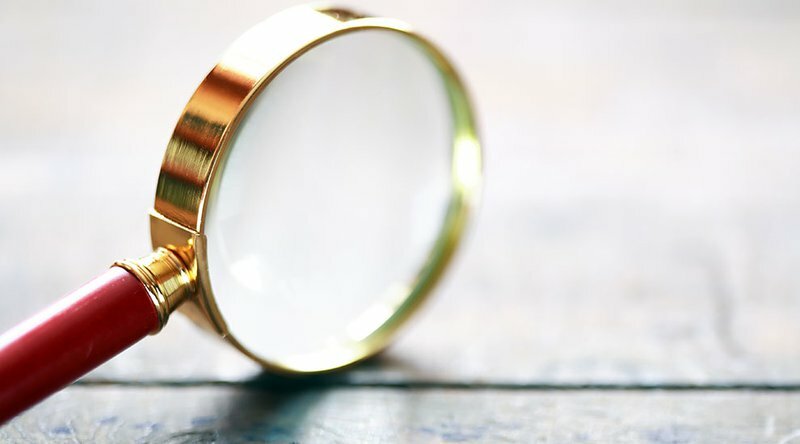 While the SEC is taking its time to consider the VanEck proposal, there are rumors in the crypto community that suggest the ETF's potential approval as a contributed to bitcoin's recent bull run. Goldman Sachs has named Erika Irish Brown its new chief diversity officer. Brown comes to Goldman from Bloomberg. She replaces Anilu Vazquez-Ubarri, who joined private equity firm TPG in June. Goldman Sachs has hired Erika Irish Brown as its new chief diversity officer, according to an internal memo seen by Business Insider on Wednesday. Brown joins the bank from Bloomberg, where she served as their first-ever diversity and inclusion officer. She also led diversity hiring efforts at Bank of America and Lehman Brothers. She replaces Anilu Vazquez-Ubarri who in June joined private equity firm TPG. 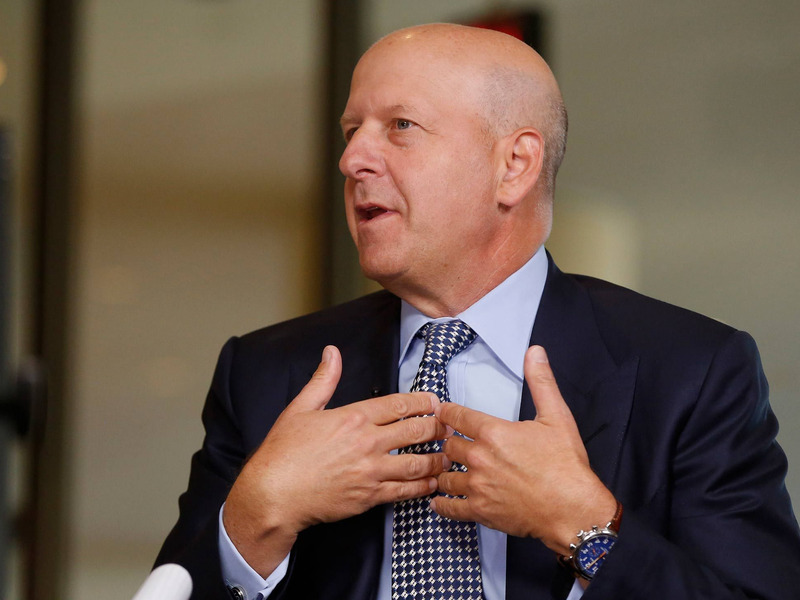 Brown, who will start at Goldman on July 30, joins the bank as incoming CEO David Solomon has pushed for more diversity among the senior ranks. Goldman on Monday said it had added more women to its powerful management committee. And last week, Goldman said it had created a new diversity committee, chaired by Goldman's head of conflicts Gwen Libstag and its global head of electronic trading Liz Martin, to promote more diverse business leaders across the firm. 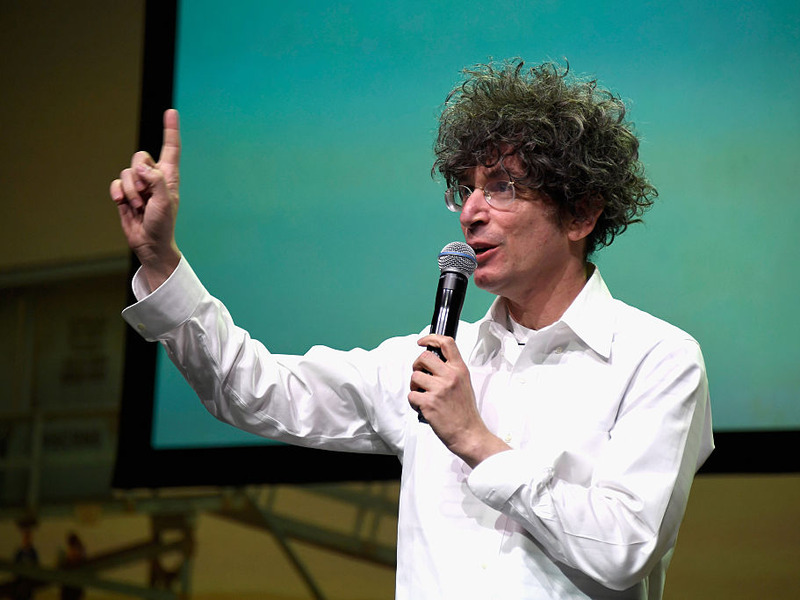 James Altucher, a tech investor and self-help guru, says young people should consider letting wealthy individuals or organizations invest in their future for a percentage of their future earnings. This way they could pay off their loans. The idea has ignited criticism over the years from people who say "human capital contracts" are a modern form of identured servitude, or slavery. 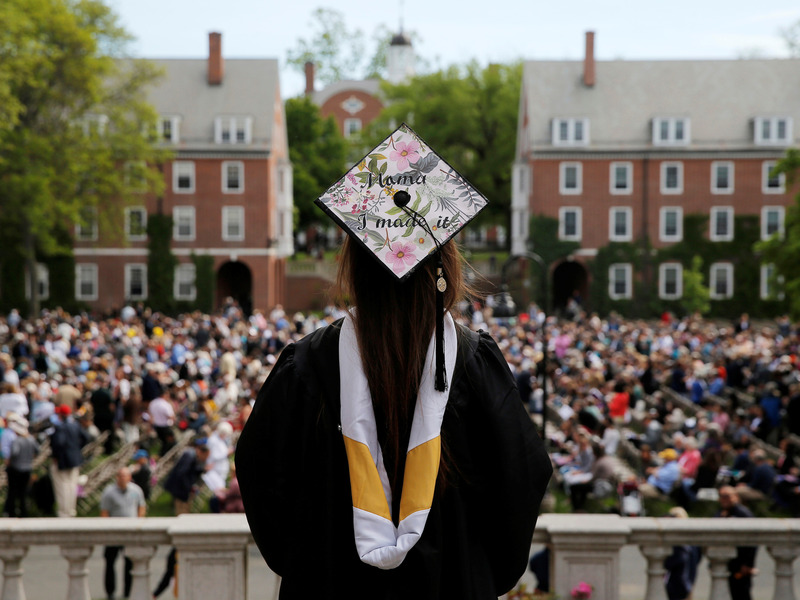 "What's not consensual is student loan debt," Altucher said in respose to the criticism. Other critics are not convinced that investors can tell a person is going to be successful based on what they're like as a college student. They also run the risk that their investment has low returns — or worse, becomes worthless — in the event the person suffers a career-killing move, such as a sexual harrassment scandal, or serious illness. An employee at Qiwi reportedly mined roughly 500,000 bitcoins in 2011 by hijacking the company's payment terminals, CEO Sergey Solonin said Wednesday. AMD will report earnings after Wednesday's closing bell. AMD (Advanced Micro Devices) is set to report its second-quarter results after Wednesday's closing bell, with Wall Street analysts surveyed by Bloomberg expecting adjusted earnings of $0.13 a share on revenue of $1.72 billion. Luckily, sales of AMD's newest Ryzen processor should fill any gap, Credit Suisse told clients ahead of the earnings report. "While crypto at roughly 15% of revenue continues to be a headwind to 2H estimates, incremental growth from Ryzen channel fill and share gains in GPU at AAPL and INTC should protect 2H estimates from downward revision," John Pitzer, the bank's head of technology research, said in a note to clients this week. "While there are several moving pieces and still a large degree of uncertainty – the current level of GPU-mining demand is most likely unsustainable, and could present a material headwind to C2H18 as AMD sees a meaningful reduction to our estimated ~$460 million of calendar year 2018 crypto-related revenue." Pitzer has a $13.50 price target for the stock. AMD was gaining popularity among younger investors on the stock trading app Robinhood ahead of the earnings report. 128,604 investors held the stock, according to numbers on the brokerage's website, up from 125,648 a week ago — an increase of roughly 3,000, making it one of the most popular stocks on the platform. 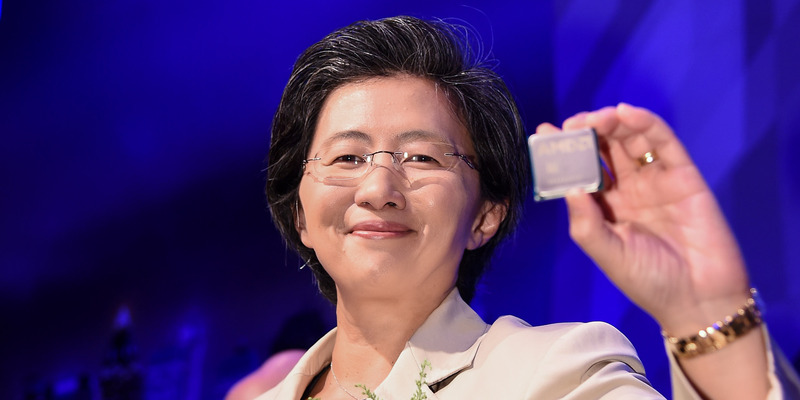 AMD shares are up 57% this year. Check back here after markets close for the full earnings report. 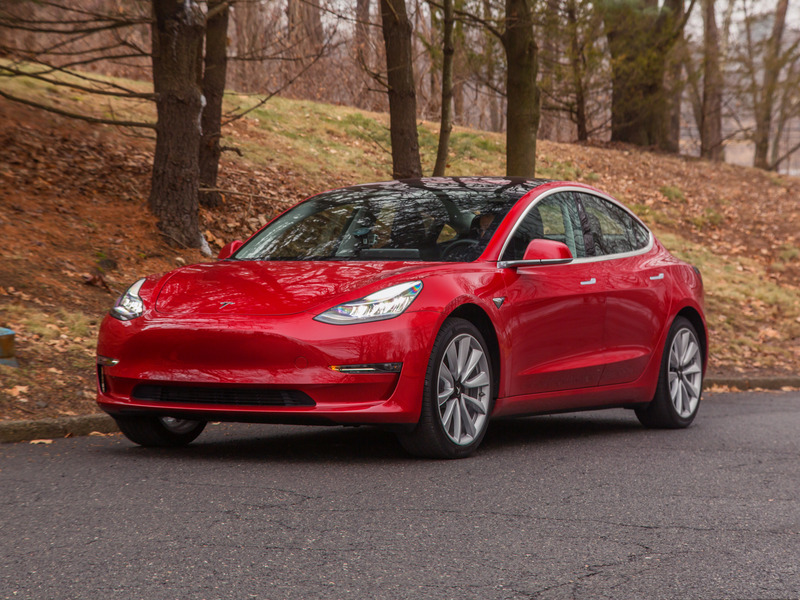 Tesla has pushed back delivery timelines for new orders of the performance and long-range, rear-wheel-drive versions of the Model 3 sedan, Electrek first reported. 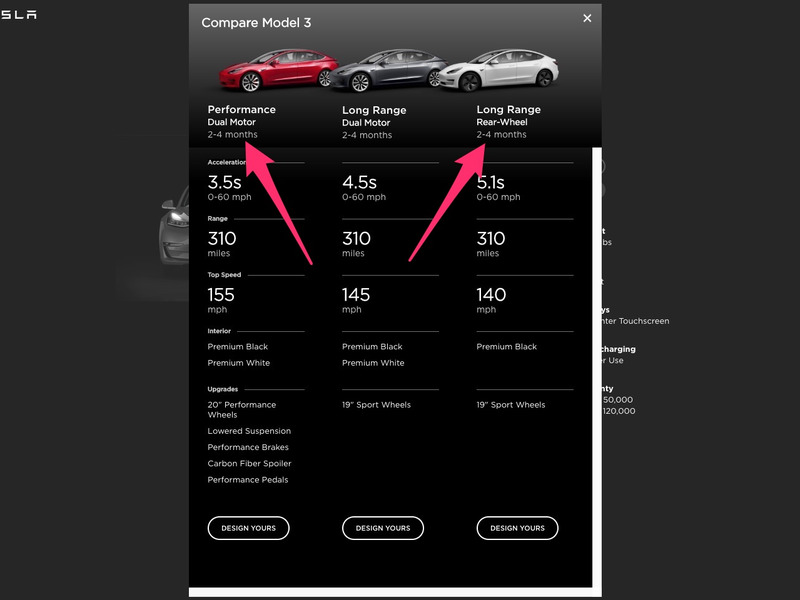 An archived version of Tesla's website from Monday said new orders for the performance and long-range, rear-wheel-drive Model 3 would take one-to-three months. As of Wednesday afternoon, the website said delivery for each would take two-to-four months. 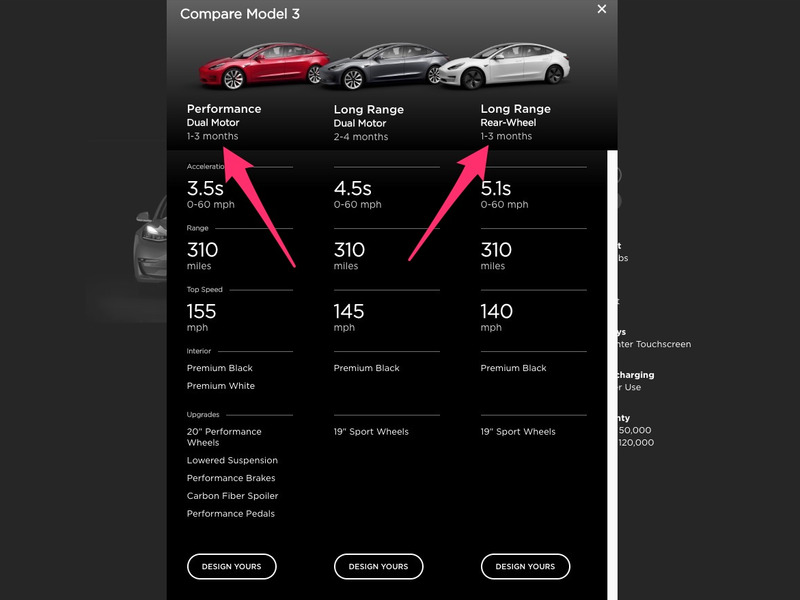 An archived version of Tesla's website from Monday said new orders for the performance and long-range, rear-wheel-drive Model 3 would take one-to-three months. As of Wednesday afternoon, the website said delivery for each would take two-to-four months. The delivery timeline for the long-range, dual-motor version has remained at two-to-four months. Earlier this month, Tesla started allowing all customers to configure and order the performance and long-range versions of the Model 3. Previously, only those who had made a reservation were able to order the vehicle. Tesla began taking reservations for the Model 3 in March 2016. As Tesla has increased its rate of vehicle production, Twitter users have described delivery problems resulting from contract issues. On Monday, CEO Elon Musk said in the past year the company has increased vehicle deliveries in the US from around 1,000 per week to around 6,000 per week, which he suggested has been difficult. "It's like hitting a square wave," he said. Cash is king for millennials who are setting money aside for the future, according to a new Bankrate.com report. The problem is this is one of the worst ways to earn any returns. And it doesn't jibe with millennials' expected longer lifespans, rising medical costs, and uncertainty about Social Security. "Millennials are going to have the biggest retirement-savings burden in history," Greg McBride, the chief financial analyst for Bankrate.com, told Business Insider. "The nest egg that they're going to have to accumulate on their own is going to be bigger than any other generation." Action on some of the largest trading venues in crypto is heating up as the price of bitcoin, the largest digital currency, approaches $8,500 a coin. Bitcoin, which spent much of 2018 in the doldrums, has seen its price soar by nearly $1,000 over the last week, reaching a two-month high on Tuesday. At last check, the cryptocurrency was trading at $8,217 a coin. At the same time, crypto volumes — digital currencies changing hands — on exchanges have seen a spike in activity. And bitcoin bull Tom Lee, head of research at Fundstrat , says it's a meaningful signal that the bitcoin bottom is behind us. Deutsche Bank on Wednesday posted a 14% drop in net profit in the second quarter from a year earlier, as Germany's largest bank restructures under new leadership. Deutsche last week already flagged that net profit would be more than double analysts' forecasts in a rare piece of good news for the bank, which is cutting costs to revive profitability. 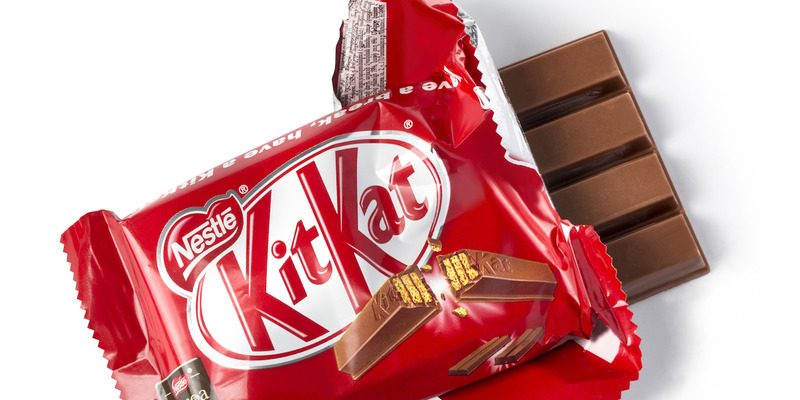 Net profit in the second quarter was 401 million euros ($468.33 million), down from 466 million euros last year. The bank halted a steep decline in revenue, which was 6.6 billion euros. That is flat compared with the same quarter in 2017, when revenue fell 10% from a year earlier. In the lavishly-compensated world of banking, job satisfaction can often take a backseat to how much money one earns. Having a good CEO, however, will always be a major draw for banks and other financial institutions looking to recruit new staff. But which major bank CEOs have the highest levels of approval among their staff? Using data from jobs-ranking website Glassdoor, the Evidence Lab at Swiss bank UBS compiled satisfaction data for the CEOs of most recognizable brands in global finance. The bank has collected more than 56,000 reviews from Glassdoor. The data, featured in a note about the fortunes of struggling German lender Deutsche Bank, shows that bosses at big US banks are much more likely to have the approval of their employees than those at European lenders. At the bottom of the pile were Tidjane Thiam of Credit Suisse and Deutsche Bank's new boss Christian Sewing . Meanwhile the three most-approved CEOs were Morgan Stanley's James Gorman, JPMorgan's Jamie Dimon, and Goldman Sachs' outgoing leader, Lloyd Blankfein. Barclays announced Wednesday it had poached a senior banker from JPMorgan Chase to run its chemicals banking practice. Rob Jeffries is joining Barclays as vice chairman and global head of chemicals banking. He was co-head of the chemicals group at JPMorgan, where he'd worked since 2009. Barclays has hired a senior banker from JPMorgan Chase to run its chemicals coverage globally. Rob Jeffries is joining the British lender as vice chairman and global head of chemicals banking, Barclays announced Wednesday. He was previously the cohead of the chemicals group at JPMorgan, where he'd worked since 2009. Jeffries has nearly 30 years of banking experience and has advised on numerous multibillion-dollar transactions, including Valspar's $11.4 billion acquisition of Sherwin-Williams in 2017 and Olin's $5 billion buyout of Dow’s vinyls business in 2015. Jeffries' hire bolsters Barclays investment banking practice, which ranked 7th globally in 2017, according to Dealogic. The firm ranked third in chemicals banking through the first half of 2018. 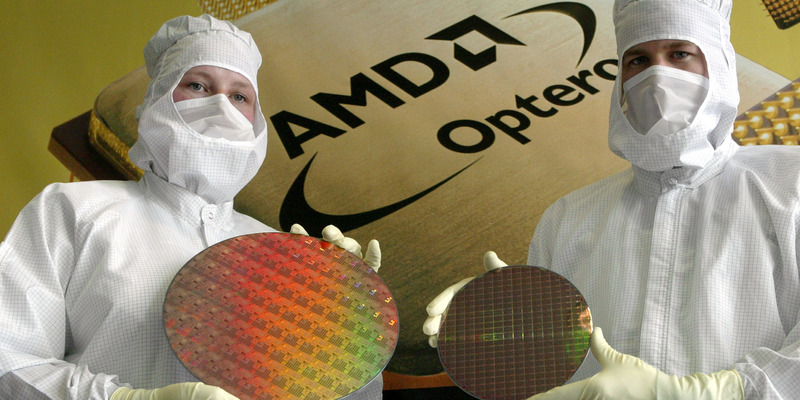 AMD is scheduled to report 2nd quarter earnings after the closing bell Wednesday. 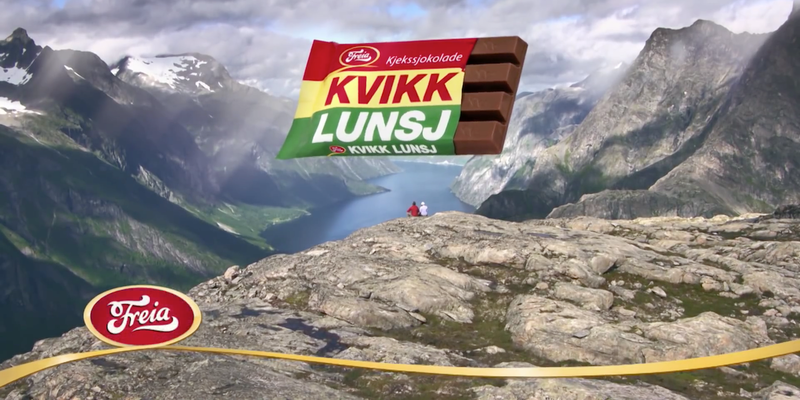 Shares of the company sank more than 2% in trading ahead of the release. 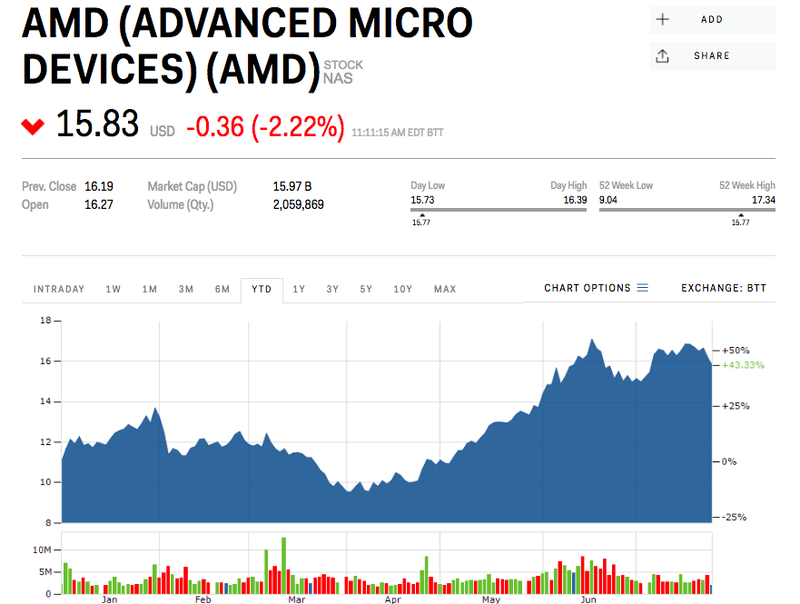 Shares of AMD (Advanced Micro Devices) sank more than 2% in trading Wednesday as the chipmaker geared up to report its second quarter earnings after the closing bell. Analysts polled by Bloomberg expect the company to report adjusted earnings of $0.128 per share on revenues of $1.724 billion. Investors will be closely watching AMD's Ryzen processor sales results. The company launched a 12 nm version of the product line — one of the smallest sizes on the market — in April. That revenue may be able to offset any slump resulting from softening demand for its other chips in the fact of declining cryptocurrency prices, according to Credit Suisse. Interest in cryptocurrency mining has declined alongside the prices of major coins, with the flagship bitcoin down 39% since the beginning of the year. 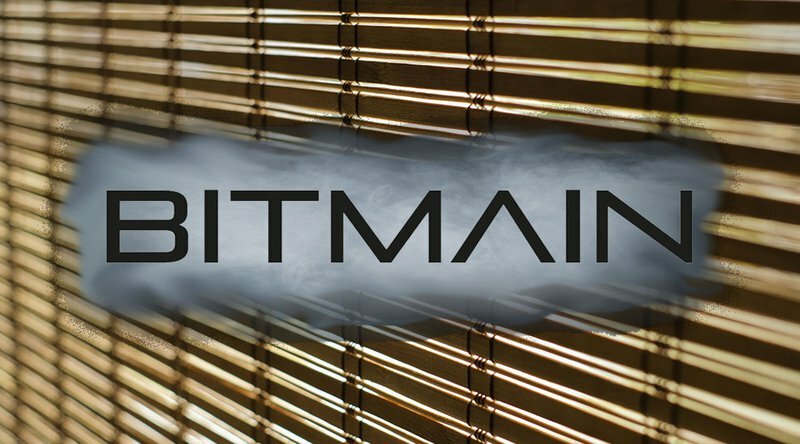 Bitmain, a Chinese company that makes computers specifically for mining, released an ASIC machine (short for application specific integrated chip) that could also eat into AMD's revenue. 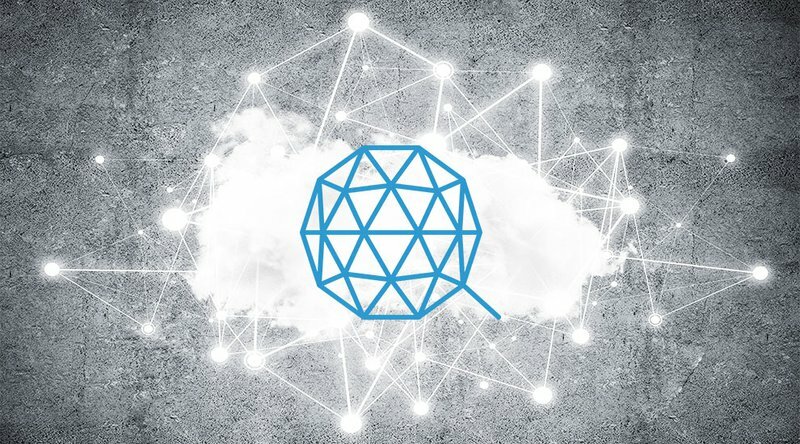 "While there are several moving pieces and still a large degree of uncertainty – the current level of GPU-mining demand is most likely unsustainable, and could present a material headwind to C2H18 as AMD sees a meaningful reduction to our estimated ~$460m of CY18 Crypto-related Revenue," said Credit Suisse. Credit Suisse has a $13.50 price target for shares of AMD — roughly 14% below where shares were trading Wednesday. AMD is up 43% since the beginning of 2018. Millennials, more than any other age group, prefer to use cash investments to set aside money they don't plan to touch for 10 or more years, according to a Bankrate.com report. But the stock market is a better long-term option to grow money. Millennials are set to have the greatest retirement-savings burden in history, said Greg McBride, Bankrate.com's chief financial analyst. The problem is this is one of the worst ways to earn any returns. And it doesn't rhyme with millennials' expected longer lifespans, rising medical costs, and uncertainty about social security. 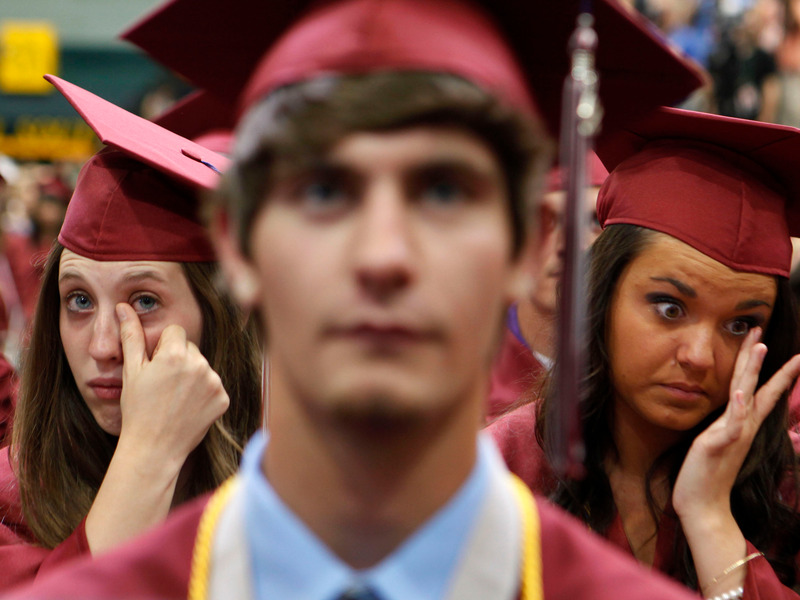 "Millennials are going to have the biggest retirement-savings burden in history," Greg McBride, Bankrate.com's chief financial analyst, told Business Insider. The survey found that 30% of 18-to-37-year olds thought cash investments were the best place to park money they didn't plan to access for 10 or more years, compared to 21% of those 38 and older. However, the majority of people in all age groups (32%) thought the stock market was best, versus 23% of millennials. Just 2% of people would've opted for bitcoin or other cryptocurrencies. "For investment horizons of longer than 10 years, the stock market is an entirely appropriate investment," McBride said. "Cash is not, and especially if you're not seeking out the most competitive returns." When asked, most Americans weren't aware of the interest rates they were earning on their savings accounts. The survey found 27% — the majority — didn't know or refused to say. A quarter of respondents said they earned less than 1%, even as the top savings and money-market accounts nationally yield more than 2% in interest. Many millennials came of age around the 2008 financial crisis, and some were old enough to be scarred by the 2000 dotcom bust. This partly explains why they're now wary of the stock market — but it could end up being a costly reason many years from now. "Millennials are saving for retirement at an earlier age than their predecessors and putting a higher priority on emergency savings," McBride said. "It’s just that how that money is invested over longer horizons is out of whack." Millennials aren't the only ones who've parked too much cash for the long-term. "Our clients — and investors in general — are sitting on very high levels of cash," said Ida Liu, the global market manager, metro New York, at Citi Private Bank, which caters to ultra-high-net-worth individuals. Right after the recession, roughly a quarter of clients' portfolios was in cash, Liu said. It's now at 22%, which is still "really high," she added. A recent study by NerdWallet also found that the average American is holding more than $32,000 in cash. "Put your cash to work because cash is an underperforming asset," Liu said. Action on some of the most notable crypto trading venues is spiking. Bitcoin bull Tom Lee says that's a sign the market bottom for bitcoin is behind us. Watch bitcoin trade in real-time, here. At the same time, crypto volumes — digital currencies changing hands — on exchanges have seen a spike in activity. And bitcoin bull Tom Lee, head of research at Fundstrat, says its a meaningful signal that the bitcoin bottom is behind us. "It’s more evidence supporting a bottom," Lee said in an e-mail to Business Insider. According to Bloomberg data, bitcoin bottomed out at $5,791 on June 29. As for how high bitcoin can go in 2018, Tom Lee has stood by his $25,000 price target. "A few weeks ago when bitcoin started to rally, skeptics dismissed the move saying there was no volume," he added. "Now we have massive jumps in volume." Across exchanges, volumes have increased from to over $20 billion on Tuesday, according to data from CoinMarketCap. Meanwhile, BitMEX, the peer-to-peer mercantile trading venue, saw records volumes, turning over $8 billion bitcoin in traded volume over the past 24 hours, a spokesman told Business Insider. 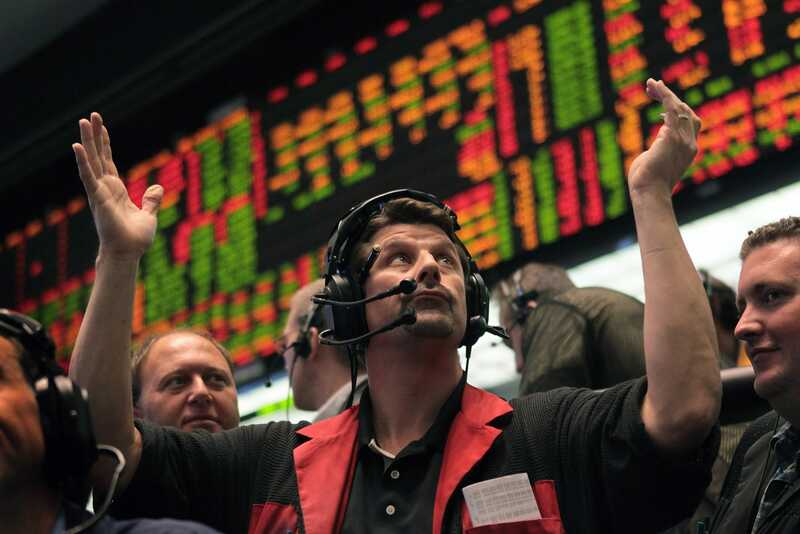 CME Group, the exchange behind one of the markets for bitcoin futures in the US, saw turnover for its contracts increase from 1,600 on July 3 to more than 12,800 contracts traded on July 24, according to the firm's data. Bitcoin's breakout over $8,000 married with strong volumes is a sign that current price levels are sustainable, said eToro analyst Mati Greenspan. "As with traditional markets when a breakout happens on strong volume, it's considered a more powerful move and is more likely to be sustained," Greenspan said in an e-mail. Rohit Kulkarni, a managing director at Private Investment Research, said fundamentals and technicals are pointing towards a continuation of the current rally. "Technical analysis supports a bullish pattern as Bitcoin tends to rebound after it trades below its 200-day moving average," Kulkarni said. "Plus, we have seen constructive commentary supporting Crypto ETF products, which could help unlock interest among institutional investors." On Tuesday, the market for digital currencies saw the bitcoin ETF race gain another contestant with Bitwise Asset Management filing an application for a fund tied to 10 cryptos. Still, it's not clear when the Securities and Exchange Commission would approve such a fund. The SEC postponed deciding on five crypto-linked funds by Direxion Investments on Tuesday. Consumer genetics company 23andMe is teaming up with UK drug giant GlaxoSmithKline to develop new drugs. As part of the four-year collaboration, GSK is committing $300 million to 23andMe, and, using 23andMe's data, working on an experimental drug to treat Parkinson's disease. The move comes shortly after ex-Genentech and former Calico executive Hal Barron joined GSK as its chief scientific officer and as the drug giant unveils its new R&D strategy. Pharma giant GlaxoSmithKline just made a $300 million bet in a consumer genetics company's ability to find new treatments for patients. On Wednesday, GSK entered a four-year-long drug development collaboration with 23andMe. Using 23andMe's data, GSK is also working on an experimental drug to treat Parkinson's disease in patients with a particular mutation. The announcement came as part of GSK's second-quarter earnings and its attempts to refresh its research and development strategy. In 2017, GSK brought on former Genentech and Calico executive Hal Barron as its chief scientific officer and president of R&D. 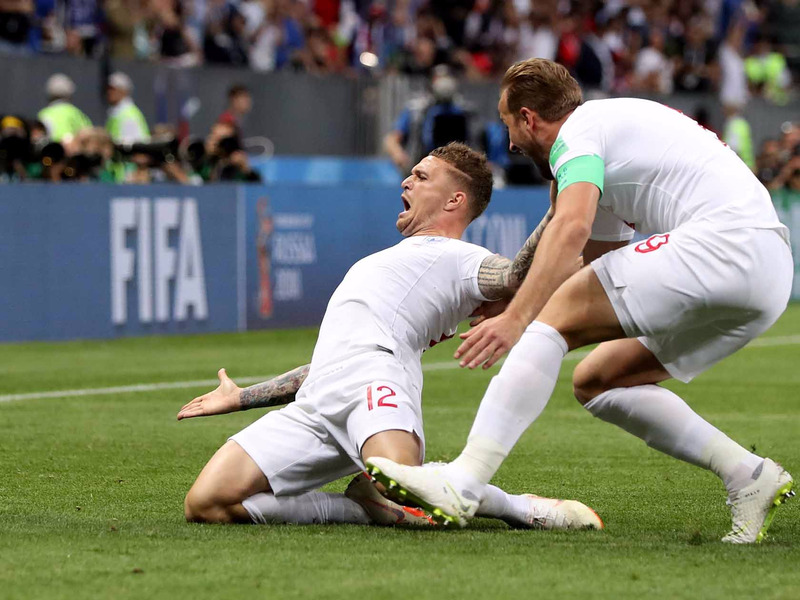 GSK said Wednesday that it plans to focus its research efforts on developing new treatments that act on the body's immune system. Going into drug development may not seem like a key strategy for a company like 23andMe, which is best known for its genetics tests that tell you everything from how much Neanderthal DNA you have to potential health risks. But already, 23andMe has partnered with major pharmaceutical companies like Lundbeck and Pfizer, which hope to use the company's data to develop their own drugs. And in 2015, 23andMe started getting into drug development on its own, hiring former Genentech executive Richard Scheller to lead the team. Scheller and GSK's Barron were colleagues at Genentech. The idea is to use the genetic information 23andMe's gathered from users who consent to share their information and use that to build therapies. The people who opt into sharing their data — that's about 80% of users — are asked to answer survey questions about their health and habits. Those answers then feed research into links between genetics and certain conditions. If certain genes stand out, they could become targets that 23andMe goes after with a drug. Ideally, that drug could then be studied in clinical trials, possibly on people who participated in the initial research who have that condition. "We're a tiny biotech, but our goal is, rather than discover drugs based off of animal models, we're going to discover drugs based off of data from human beings," Emily Drabant-Conley, vice president of business development at 23andMe told Business Insider in 2017. "And hopefully that will help us to be more successful in creating more therapies." Scheller said on a call with reporters Wednesday that while 23andMe has made some progress identifying new drugs since then, it still has a way to go. "We thought it was now the right time to team up with a large global organization that has a number of feasibilities way beyond what our still nascent group at 23andme is able to do," Scheller said. For example, GSK already has a drug target identified to use in the collaboration, an experimental treatment for Parkinson's disease that acts on a particular mutation. Barron said Wednesday that 23andMe has already identified 250 people with Parkinson's who have this mutation in their database, which could make the process of enrolling a clinical trial much faster than if GSK were to go it alone. Scheller said that 23andMe has been looking at a number of disease areas including autoimmune conditions, liver disease, and osteoarthritis. GSK isn't the only drugmaker tapping into other sources of data. In June, Swiss drug giant Roche acquired the rest of Foundation Medicine, a company that collects genetic data from samples of cancer tissue or blood, for $2.4 billion a few months after it acquired Flatiron Health, another cancer data company, for $1.9 billion. Biotech startup Alector is getting ready to put its first batch of neurodegenerative drugs into humans after raising an additional $133 million. Alector is developing treatments that harness the body's immune system to tackle conditions like Alzheimer's, and other forms of dementia. The plan is to get two drugs into clinical trials in the next few months, with a third starting in early 2019. 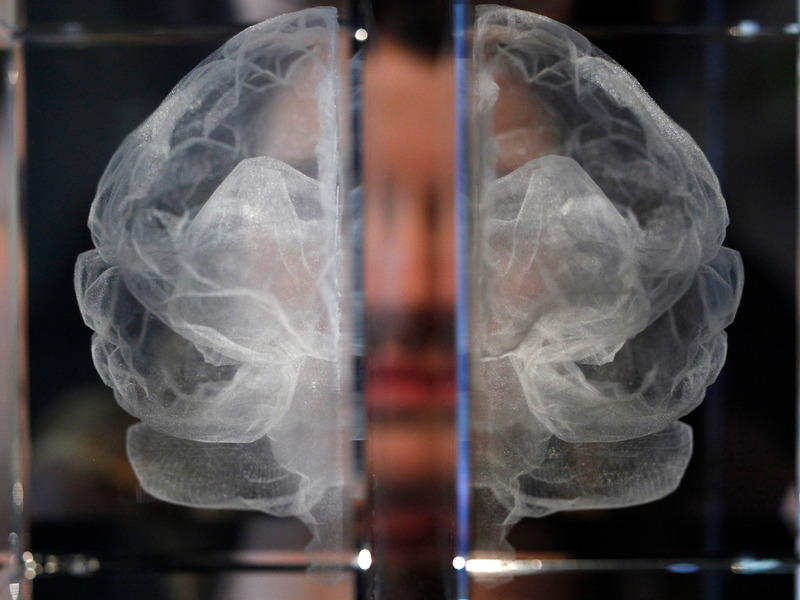 Alector, a startup that's trying to harness the body's immune system to treat neurologic diseases like Alzheimer's just raised another $133 million to get its first batch of drugs into human trials. The approach of using the body's immune system to treat a particular disease has so far proven successful in the field of cancer, where it's known as immuno-oncology. It's led to remarkable remissions in some patients, along with some first-of-its kind approvals. San Francisco-based Alector is hoping to have similar success in building out the field of "immuno-neurology." Alector is looking for treatments that target the body's innate immune system, using the genetic markers associated with neurodegenerative conditions like Alzheimer's disease. Its three lead drugs, Alector said Wednesday, will include two for Alzheimer's, one of which will work to apply the brakes to the immune system while the other will look to speed it up. The third, a treatment for frontotemporal dementia, will act on a genetic defect associated with the condition to reactivate the immune system. Alector's chief business officer Sabah Oney told Business Insider that the funding will be used to "push those drugs into the clinic" as well as grow the company's pipeline. Two will enter the clinic in the next few months, while a third will get started in early 2019. More than 18 organizations contributed to the fundraising round, including Bill Maris' Section 32, Foresite Capital, Polaris Partners, GV, and the Dementia Discovery Fund. In October, Alector had received a $225 million endorsement from drugmaker AbbVie that gave it the option to globally develop and commercialize two of Alector's drug targets. American Airlines is the first major US carrier to change its description of Taiwan as a deadline imposed by China looms. US airlines had until July 25, Beijing time, to stop describing Taiwan as a country. Despite the White House calling China's demands "Orwellian," dozens of airlines around the world have complied and it looks like US carriers are following suit. American Airlines has become the first US carrier to modify its description of Taiwan after China demanded changes earlier this year. 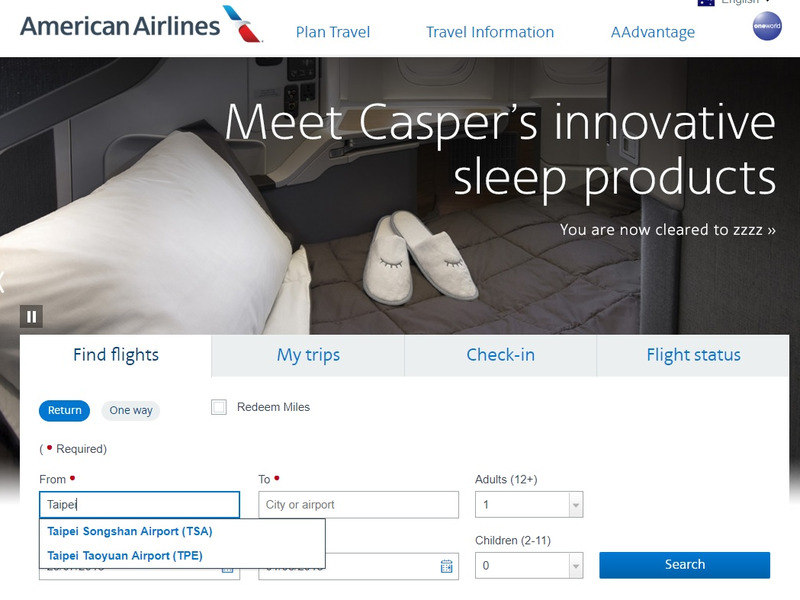 American describes all destinations in its booking form in the format of "Airport Name, City, Country" but in Beijing on Wednesday morning local time, the carrier had deleted any city or country name from airports in Taiwan. Despite the political pushback, dozens of airlines have altered their websites. China threatened the airlines with marks against company social-credit scores if they did not comply, and this could have affected carriers' access to what will soon be the largest air-travel market on the planet. US airlines were given until July 25 to make the change. A White House spokesperson said on Tuesday that they are "aware" of the situation. A spokesperson from the US State Department told Business Insider that it has consistently conveyed to the Chinese government that it strongly objects to demands that private firms use specific political language and that US airlines shouldn't be forced to comply. The spokesperson also said the State Department has raised the issue with other governments and has been in close contact with US airlines, but did not tell them how to respond. United Airlines and Delta Air Lines have yet to make a change, but are expected to follow a similar solution. 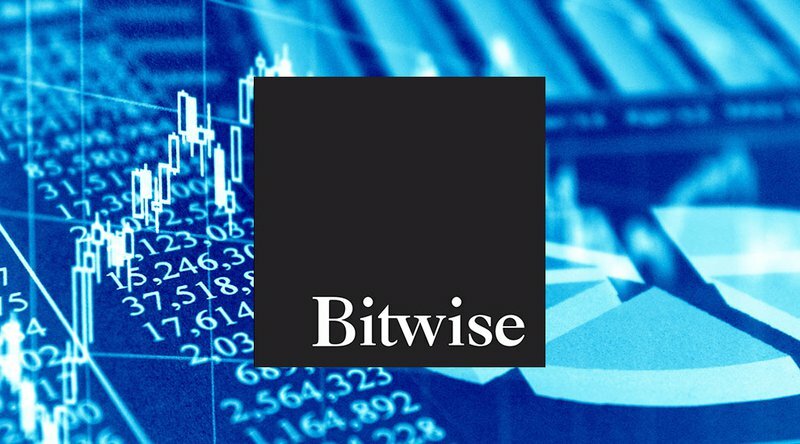 Bitwise is not the first company to try and register a cryptocurrency ETF application. Earlier this month, waves were made when an application for a Bitcoin ETF from the VanEck SolidX Bitcoin Trust was not rejected as it had been in 2017, and was instead consulted upon with industry professionals. Following this period, the SEC posted the application for public comment to see if general consumers and traders showed interest. The application received positive feedback, and the SEC later announced that it was working on an outline for newer, less-restrictive legislation regarding open-ended ETFs to increase innovation in the financial space. Matt Hougan, global head of research, explained that while Bitwise will offer single-currency opportunities to investors like other funds do, multiple-coin baskets behave very differently and thus warrant just as much study and exposure. He says the company plans to offer both to its clients. Bitwise Asset Management was founded in San Francisco in 2017. It launched the first cryptocurrency index fund in November of that year as a means of providing accredited investors with weekly liquidity through an open-ended private placement system. 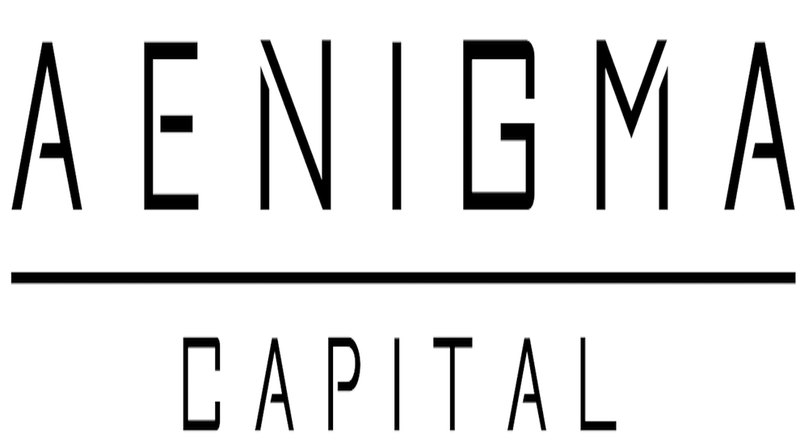 Thus far, the business has garnered institutional backing from companies like General Catalyst, Blockchain Capital and Khosla Ventures. The Audi Q3 made its world debut on Tuesday. The subcompact crossover will go on sale this November in Germany. It will be powered by a selection of turbocharged, four-cylinder engines ranging from 150 to 230 horsepower. Audi has not announced pricing for the new Q3. Audi finally unveiled its long-awaited second-generation Q3 subcompact crossover on Tuesday. 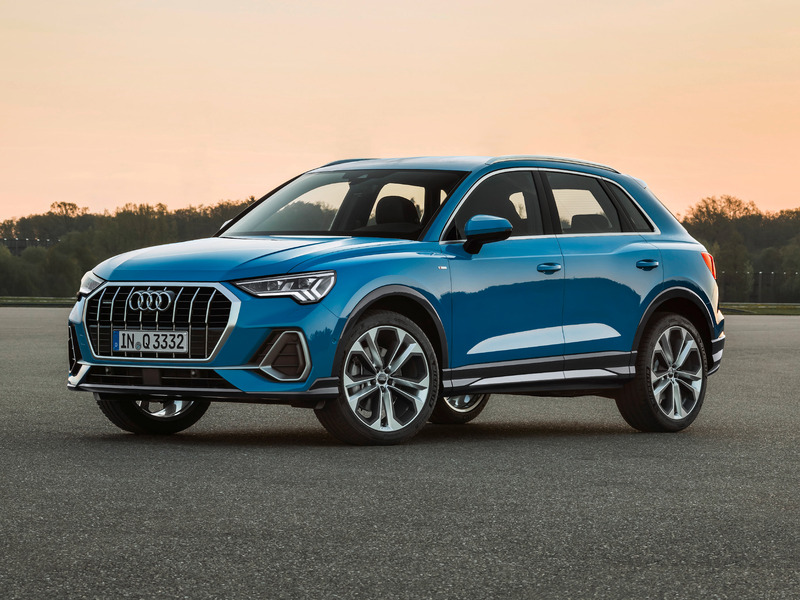 The Q3 will be the entry-level crossover for the Ingolstadt, Germany-based luxury automaker's US lineup and will slot in below the award-winning Q5, Q7, and recently unveiled Q8. It is also slated to take on BMW's new X2 and the Mercedes-Benz GLA. In terms of size, the new Q3 will be 3.8 inches longer and 0.7 inches wider than the first generation model it replaces. 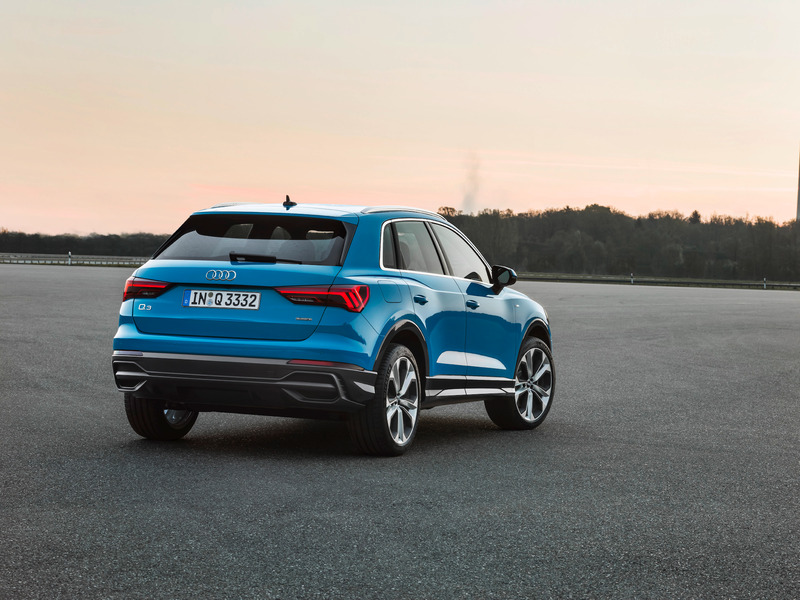 At launch, Audi Q3 will be available with a quartet of turbocharged, four-cylinder engines. Entry-level Q3s get a 1.5 liter, 150 horsepower unit. Buyers can step up to a 2.0-liter powerplant that produces 190 hp. There is also an up-rated version of the 2.0-liter engine that produces 230 hp. Some markets will also get a 2.0 liter, 150 horsepower diesel option. After the Q3's market launch, a fifth engine option in the form of a 190 horsepower version of the 2.0 TDI diesel engine will join the lineup. The base gasoline Q3s will be equipped with a seven-speed S-tronic twin-clutch transmission sending power to the front wheels. While a six-speed manual option will be available later this fall. The 2.0-liter gas-powered cars will get the S-tronic transmission with full-time quattro all-wheel-drive. 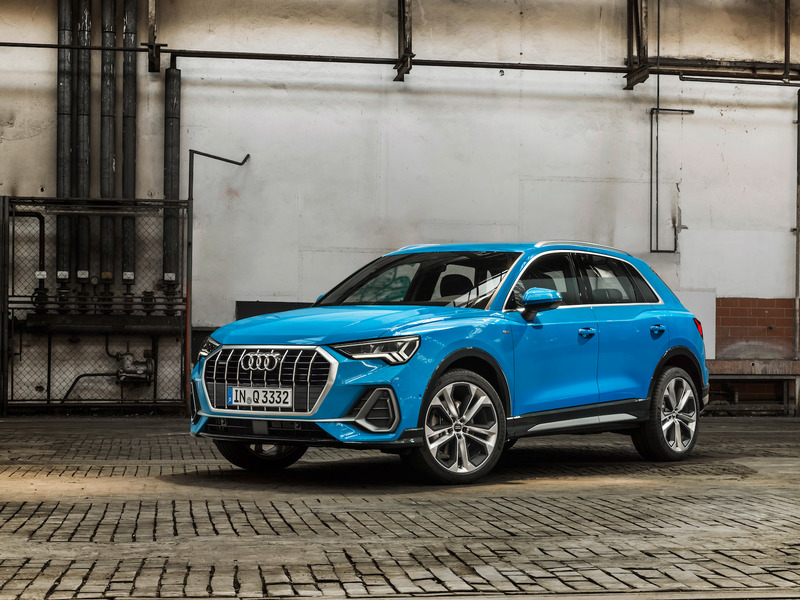 Diesel Q3s will initially be available with quattro all-wheel-drive and a six-speed manual while the S-tronic and front-wheel-drive version will follow after launch. Audi has not announced which engine options will be available in the US, although I wouldn't hold your breath for the diesel. The Q3 will also be available with the latest from Audi's arsenal of tech goodies including 360-degree cameras, adaptive cruise control, a Bang & Olufsen sound system, a 10.25-inch virtual cockpit instrument cluster, and a 12.3-inch infotainment screen. The original Audi Q3 debuted back in 2011 and is based on the first generation Volkswagen Tiguan, which itself is a descendant of the Mark V VW Golf. In other words, it's old. VW pulled the gen one Tiguan from frontline duties last year and replaced it with a new version built on VW Group's MQB platform. The Győr, Hungary-built Q3 is expected to commence delivery in Germany and other European markets in November. This means the Q3's US launch will likely be closer to 2019. Audi has not yet revealed official pricing for the new Q3. For context, the current Q3 starts at $32,900.